JKPSC Medical Officer Recruitment 2018 Notification is announced by जम्मू एवम कश्मीर लोक सेवा आयोग for 1000 MO (Allopathic) Vacancies in Health & Family Welfare Department, Jammu & Kashmir. See the category wise Jammu & Kashmir Public Service Commission JKPSC Vacancy details. Interested candidates who are looking for Medical Officer (Allopathic) Jobs in Jammu & Kashmir can utilize this job opportunity & apply for JKPSC MO Jobs 2018 on or before 15/11/2018. 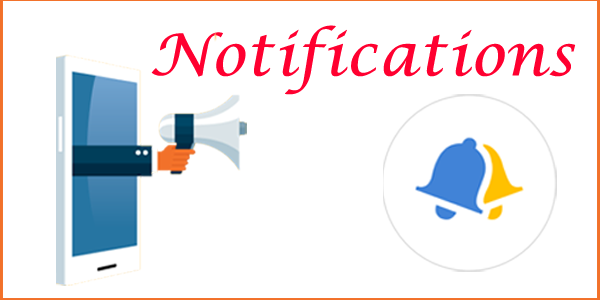 Scroll down the page to get further details of JKPSC Notification 2018 like Age Limit, Qualification, Method of Selection, Salary, Important Dates, Notification & Apply Online Links, etc. Good News for those candidates who want to settle in the J & K state. Recently, Jammu & Kashmir Public Service Commission has released JKPSC Recruitment 2018 Notification to recruit the bright, talented & eligible candidates for Medical Officer (Allopathic) Vacancies. In respect to this, the officials have invited the JKPSC Medical Officer Recruitment 2018 Application Forms through online mode from 16th Oct 2018. The Last Date to submit the JKPSC MO Recruitment 2018 Application Form is 15th Nov 2018. Coming to the eligibility criteria, the minimum & maximum age limit is 18 yrs and 40 yrs to get eligible for JKPSC Medical Officer (Allopathic) Jobs 2018. Upper age relaxation is applicable to the reserved candidates as per the norms of the organization. Scroll down this page to get the further details of JKPSC MO Allopathic Recruitment 2018 Notification like No. of Vacancies, Age Criteria, Qualification, MEthod of Selection, Salary, Dates, Notification & Apply Online Links, etc. In order to apply for JKPSC MO Recruitment 2018, candidates have to fulfill the following eligibility conditions like Age Limit, Educational Qualification, etc. As per official JKPSC MO Notification 2018, upper age relaxation is applicable to the reserved candidates. Physically Challenged: 18 to 42 years. RBA/SC/ST/ALC/SLC: 18 to 43 years. Ex-Servicemen: 18 to 48 years. To apply for JKPSC MO Recruitment 2018, candidates must possess MBBS or Possession of recognized Graduate Medical qualification included in the First or Second Schedule or part-II of the 3rd Schedule (other than licentiate qualification) to the Indian Medical Council Act, 1956. Know the further details of JKPSC Medical Officer Notification 2018 like Application Fee, Selection Process, Salary Offered, Important Dates, Links, etc. The JKPSC Medical Officer Recruitment 2018 Process includes the following. Rs. 9,300 – 34,800/- with GP Rs. 5,400/-. The JKPSC MO Allopathic Recruitment 2018 Apply Online Link will be available active on its official portal from 16th Oct 2018. So, All the willing & eligible candidates can apply for JKPSC Medical Officer Jobs 2018 on or before the due date i.e, 15th Nov 2018. While applying for JKPSC MO Vacancy, candidates have to follow these simple guidelines provided below. Find the related tab “JKPSC Recruitment 2018 for Medical Officer (Allopathic) Posts” on the homescreen. Go through the details mentioned in the official JKPSC MO Notification 2018 Pdf. Ensure the eligibility criteria for JKPSC Medical Officer Vacancy 2018. If eligible, then click on “JKPSC Medical Officer Recruitment 2018 Apply Online” link. Enter all the required & mandatory details in JKPSC MO Allopathic Recruitment 2018 Application form in the prescribed format. Cross verify all the details once before submitting the Jammu Kashmir MO Allopathic Application Form 2018. Finally, keep the hard copy of the JKPSC Medical Officer Allopathic Recruitment 2018 Application form for future reference. The complete details provided on this page about JKPSC Medical Officer Recruitment 2018 Notification is true & fair. For more doubts, see the official JKPSC MO Notification 2018 Pdf through the direct link attached below.